Want a quick and easy project that also makes a great gift? 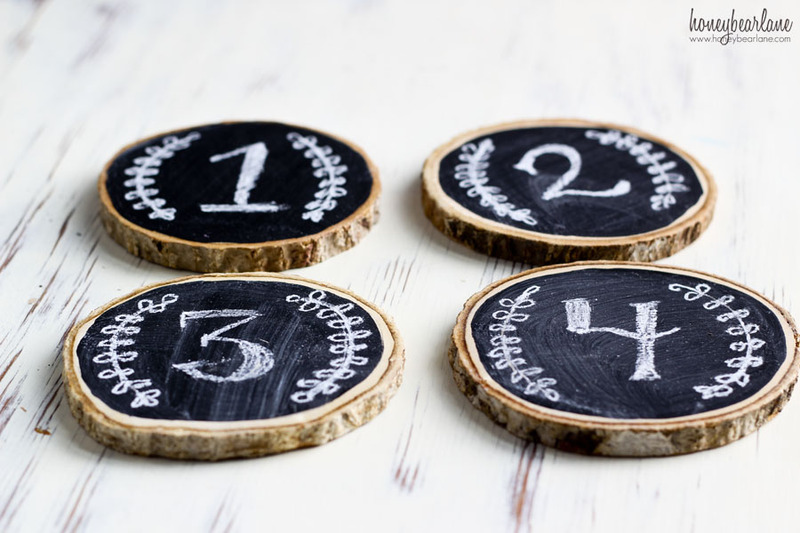 Chalkboard coasters. 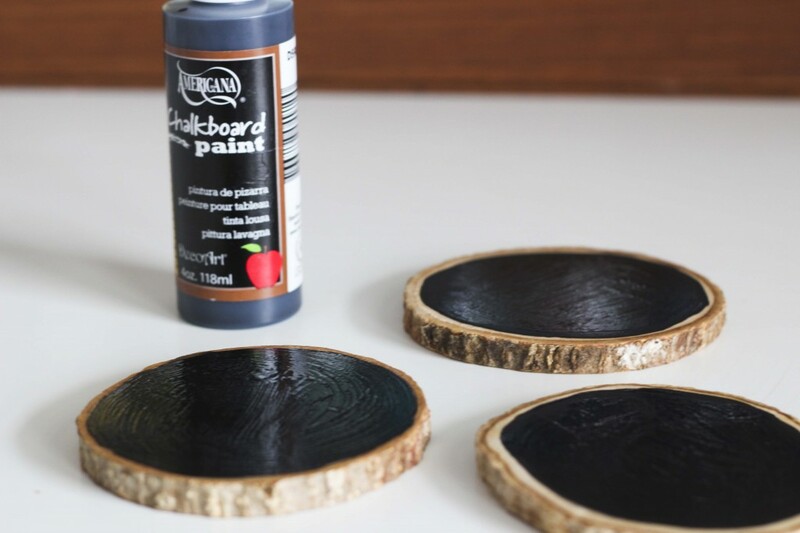 I got these wood sliced coasters at World Market awhile back (but you could easily find yourself a log and saw it up) and grabbed some of my DecoArt chalkboard paint. I just squeezed some of the paint onto the coaster and painted it up to the bark border. I let it dry for a couple hours. After it was dry, I rubbed some chalk across it to season the chalkboard paint. This helps to prevent ‘ghosting’ which shows old chalk marks after you’ve washed them off. To draw the chalk, make sure you wet the chalkboard paint and sharpen your chalk in one of those cheap pencil sharpeners. 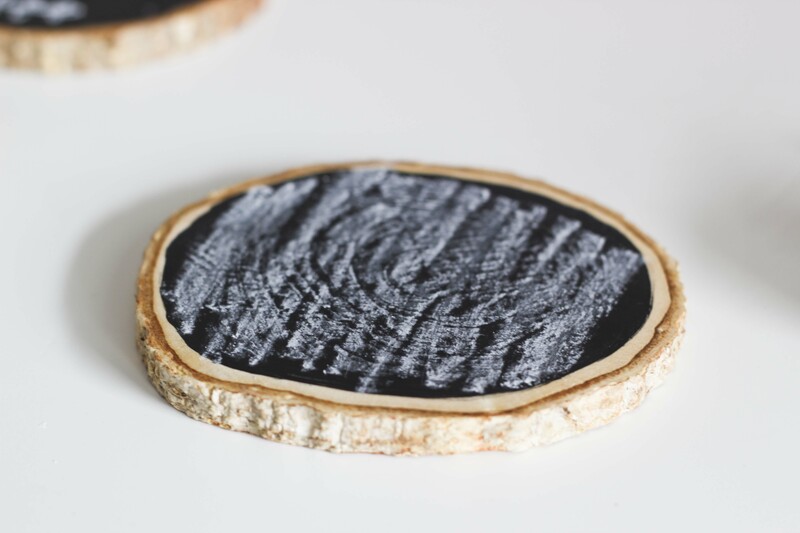 And if you want the chalk to keep from smudging, spray the coasters with a little hairspray. 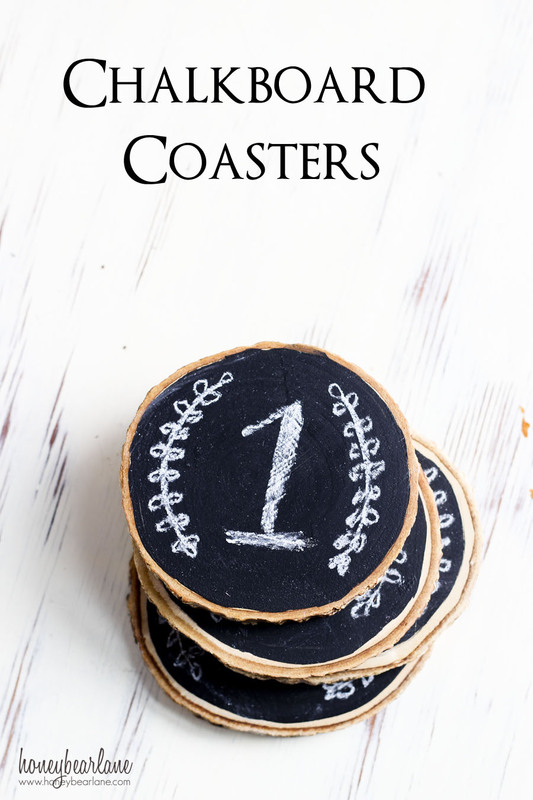 This is a quick project that makes these chalkboard coasters look more fancy and expensive and I love that you could easily turn it into a gift for anyone. What’s your favorite go-to gift? I’m a member of the DecoArt Core Bloggers, all opinions are my own.